Baby steps help accomplish goals and upgrades over time. For many of our clients, upgrading their facility-wide power distribution system is a tough pill to swallow. How can you shut down the nerve center of your entire facility in order to upgrade it? How do you begin to understand the scope and cost of the improvements needed? How do you separate the critical, must have issues (i.e. reliability, safety, and compliance issues) from wish list, nice-to-have items (i.e. newer technologies)? At Interstates, we have been focused on helping our clients answer these questions – swallow this pill – through a program called Electric Room Rx – Your Prescription for a Healthier Facility. And quite simply, the best way to swallow this pill is to cut it up into smaller pieces. We’ve developed a 5-Phase process to help you work through the upgrade or remediation process. The flowchart to the right outlines the phases of a typical Electric Room Rx, or electrical remediation, process. Although the cost of Phase 1 and 2 is relatively minimal (a cost that can be spent at the plant level without major justification steps), the importance of these phases cannot be stressed enough. The entire feasibility of the project depends on getting the Framework set up properly, and the Concept developed and estimated. Once these phases are complete, the plan is agreed upon by all the stakeholders, and the project cost has been justified. The Implementation Phase(s) and Wrap-up Phase will proceed much more smoothly, even though the majority of the project cost and timeframe lies within these phases. As you might suspect, depending on the size and scope of the project, Phase 1 and 2 could be combined into a single planning step. Also, an important decision regarding project delivery method can simplify the process. 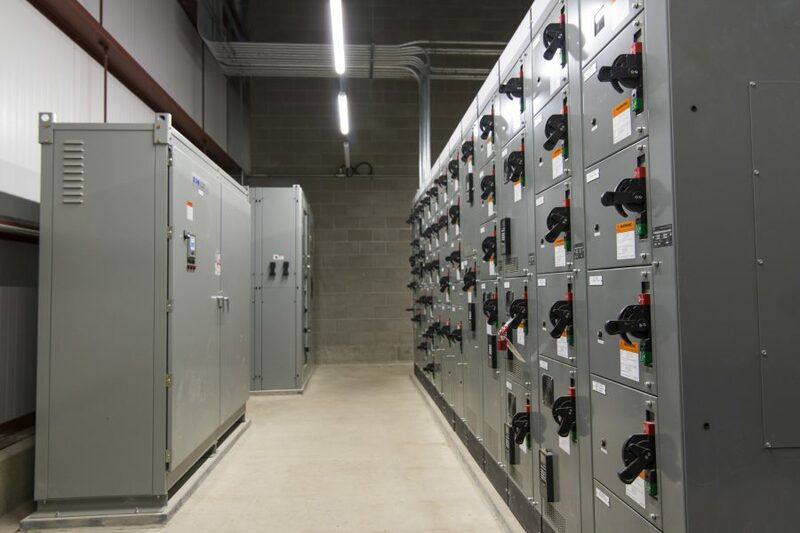 Many of our clients choose design-build as the delivery method for Electric Room Rx projects because of the extremely complex nature of these upgrades. Design-build provides the advantages of (1) single-source responsibility, (2) combined planning of an engineering and construction team throughout the design and preconstruction periods, and (3) a faster overall implementation schedule. Click here for an Electric Room Scorecard that can help evaluate the condition of your electrical rooms and power distribution systems in a simple way.